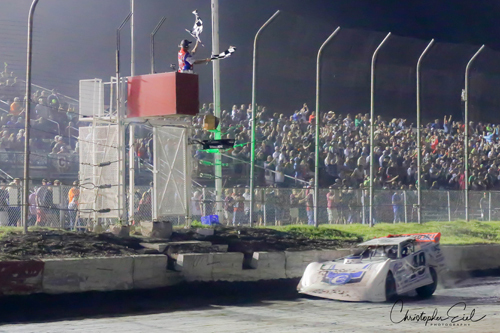 Jonathan Davenport takes the checkered flag! 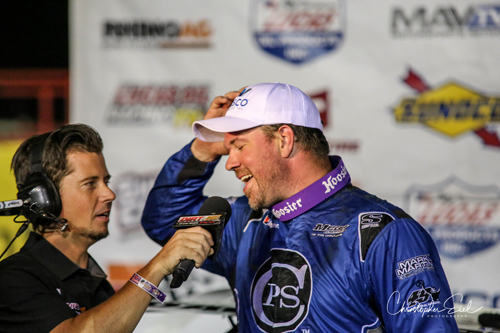 A jubilant Jonathan Davenport tells the crowd how he won the Silver Dollar Nationals. 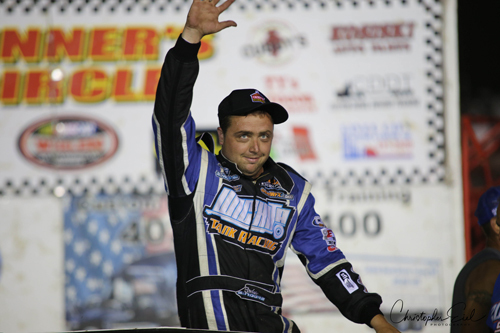 Rodney Sanders waves to the crowd after winning the USMTS feature. 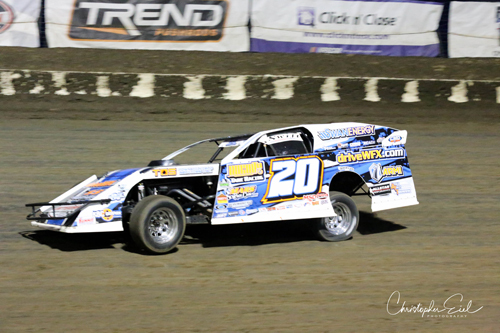 Rodney Sanders led wire to wire in the 40-lap feature. 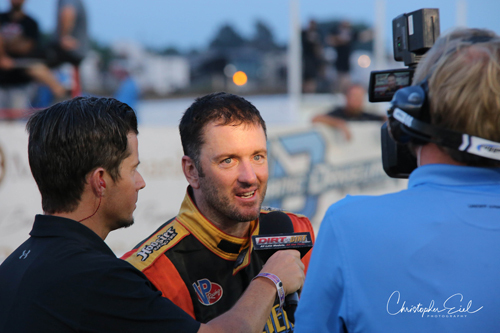 Tim McCreadie is interviewed after winning the Belt Bash. 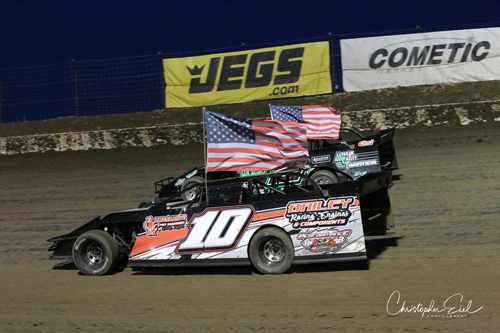 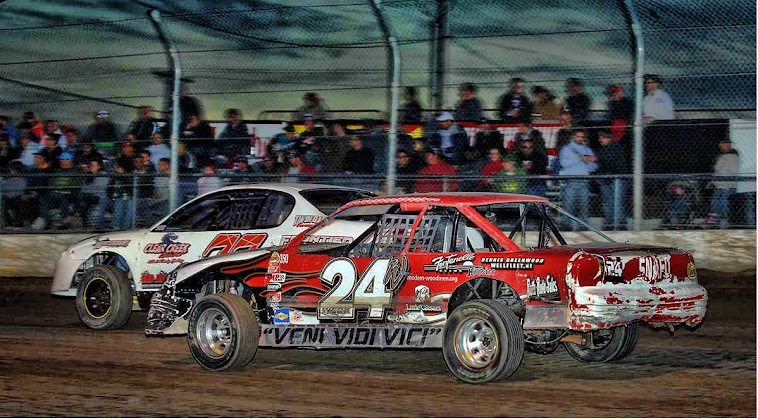 The stars and cars of USMTS fly Ol' Glory during the parade lap. 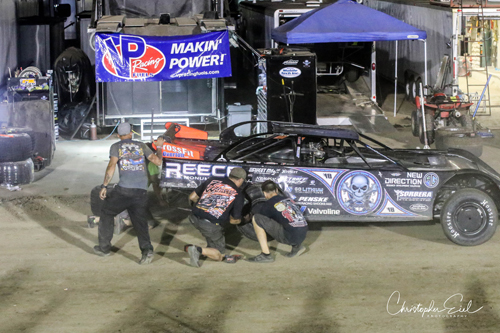 Scott Bloomquist's crew make a quick tire change in the hot pits. 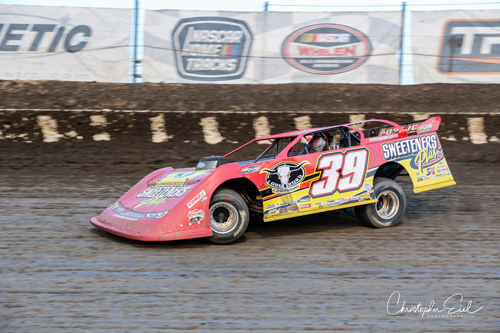 Tim McCreadie led green to checkered in the Belt Bash.